Ben Vogg & Noe des Vatys' palmares keeps expanding! They are the only combination in history of the sport that competed at Junior/Young Rider championships as well as all three senior championships (ContCh, WEG, OG). Also we have a shortlist for the show jumping team. Looks like Sammi Birch and Hunter Valley will miss WEG due to small injury. Heartbroken, I really like that combination, great consistency. 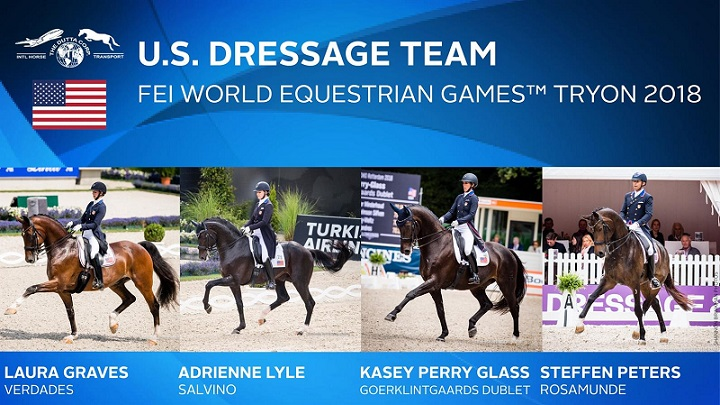 US dressage team has been announced. That's it. I already hate this WEG. 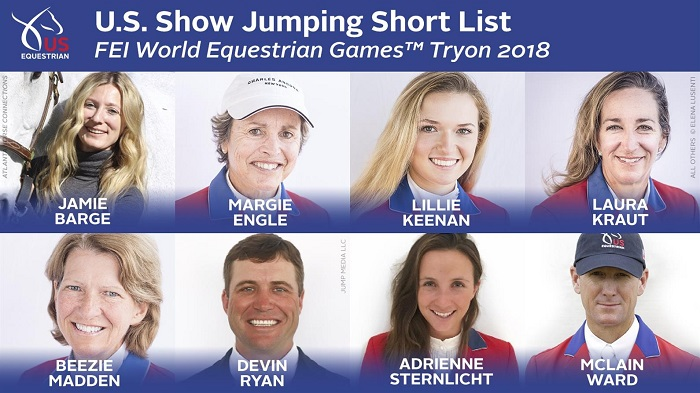 Clarke Johnstone & Balmoral Sensation are the latest combination to drop out... Sammi Birch & Hunter Valley + Clarke Johnstone & Balmoral Sensation withdrawing is like literally picking my favorite combinations. Now only Selena O'Hanlon & Woody need to drop out to complete the perfect trifecta.. Complete Swedish team has been announced too... Quite disappointing to see them suddenly ignoring pretty much all non-Olympic events (except endurance). Also, quite shocking to see Sara Algotsson-Ostholt with Wega!! That's her London 2012 Olympic silver medal horse, but since then they literally entered only one true eventing competition (basically to get a qualification)! It should be great to see them again after all that time. I was surprised to see Tim Lips missing, but apparently he chose not to compete because his wife is due in September. Odd decision, WEG is only once in four years, whereas he could have his wife pregnant again by Christmas. Caroline Chew did well to obtain WEG qualification score of 66% in likely her last chance competition. With her qualification confirmed, we should see all making their dressage WEG debuts. Caroline btw was the one who said the athlete's oath at the opening of 2010 YOG. We've entered the very final week of qualification period, as the window for meeting minimum requirements in all disciplines will be closed on August 13th. There aren't many competitions in midst of summer, however CDI Cappeln may be interesting, as both Jiochanna Androniki-Kordatzaki and Laurienne Dittmann will have their last ditch efforts to qualify for the Games. South African Olympic qualification very much depends on Dittmann's success, which is by no means a certain outcome.